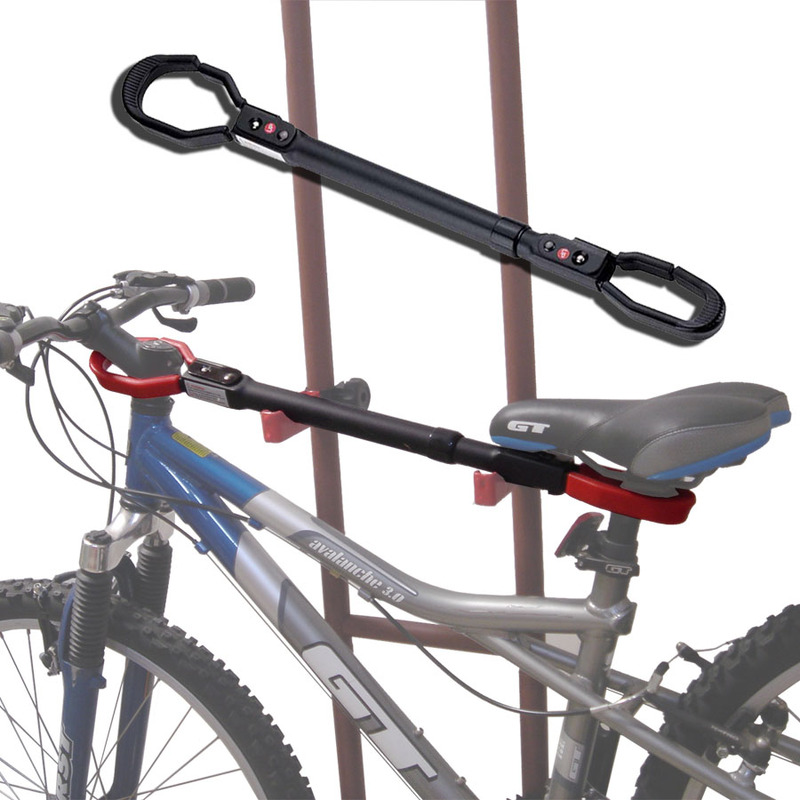 Telescopic bar fits various bike styles. Note: This will not fit children’s bike. The Sparehand QSP-611 Adjustable Bike Bar Adapter fit various bicycles without a top bar, including women’s bike. In a matter of seconds, use this adapter to add a top bar to your existing bicycle so you can store it with a standard bike rack or suspended hook. The patented closing system on both ends opens sideways for ease of access and installation. This adapter bar adjusts from 22-inches to 32-inche so it can attach to almost any sized bike. You can keep a clean, organized garage by storing bikes that won’t normally store on traditional racks using this adapter. The QSP-611 hangers are coated in molded vinyl to prevent scuffs and other damage. The Stoneman Sports QSP-611 Sparehand Adjustable Bike Bar Adapter comes with a 2-year limited warranty that protects against defects in material and workmanship.